Ultra high resolution texture detail on everything. Granite SDK is the fastest, most efficient and most complete texture streaming middleware available. It is designed to integrate easily into any 3D engine. Granite breaks down texture mip maps into small tiles, automatically detects what tiles are visible for every frame and loads only those tiles into memory. 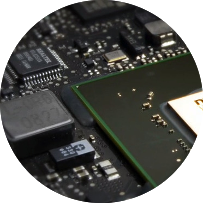 Thanks to this approach, Granite uses very little video memory and main memory. The memory required no longer depends on the resolution of the textures or the number of assets in your scenes. For an HD screen, Granite requires roughly 650MB of VRAM at any given time, no matter how much texture content you use. You can have 20GB of textures for one single character or thousands of 4K PBR assets. Years of optimization work ensures that Granite has a limited and predictable impact on your framerate. Granite SDK applied to A boy and His Kite. The right side shows the individual texture tiles (the colors represent the tile mipmap) that are loaded every frame. Granite reduced the VRAM usage from 4GB+ to 1GB while doubling the texture data from 3.5 to 7 gigapixels and getting 50% less long frames. Why is Granite the most complete texture streaming system? Granite SDK contains two distinct texture streaming systems: a classic mipmap streaming system (with a high tech spin) that loads into convention texture resources, and a virtual texturing system that loads texture tiles into a tile cache. Virtual texturing is the perfect solution for all your high resolution and relatively unique assets that are typically sampled only once in your material. This could represent 50 to 95% of your data. The remaining assets could have a lower resolution, be visible most of the time or sampled many times. For these assets, like foliage or particles, it’s more efficient to use a classic mipmap streaming system. Granite also supports procedural virtual texturing so you can generate your texture data on the fly and benefit from Granite’s highly efficient memory management. How to integrate into your 3D engine? 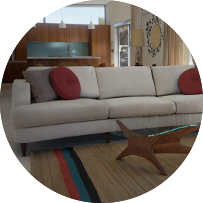 Granite SDK can integrate easily into any 3D engine and production workflow. 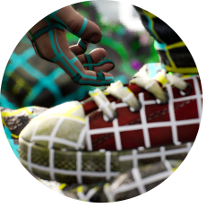 The SDK contains a set of scriptable tools that convert texture image files into compressed, tiled and streamable assets. The runtime provides texture creating and update callbacks on the engine and graphics API level. The tiles are automatically requested by the runtime using an additional render target. Alternatively, a separate camera (render pass) can be used to reduce the integration time. Textures are sampled through our shader library. Our license includes one year of extensive engineering support to assist you with your integration. Additionally, you can leave the entire integration to us. We then discuss your priorities and goals and get to work on your repository so you can focus on your project. You can take a look at our Unity 3D or Unreal Engine plugins to see how Granite can behave in your engine.  Granite SDK is available for Windows, Linux, Mac, Xbox One, Xbox One X, PS4, PS4 Pro and Android (Daydream). Ask us about other platforms. The SDK can be licensed for a specific platform and application (VR experience, 3D visualization, training simulation, etc) or video game. Develop and release a game on one single platform. Develop and release a game on multiple platforms. Develop and release a game on multiple platforms using the source code.